What is Our Plans with this fundraiser? Simple send Heroes to BlueWater to Heal. In 2014 I Hosted the 1st Rigs & Reef Classic Spearfishing Tournament 8 people showed up. Last year we had 80 Registered Spearo’s. 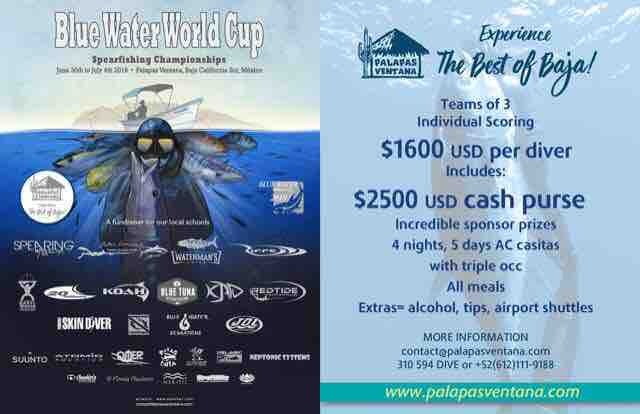 This event is to Promote Spearfishing in the State of Texas and throughout the World as well as donate Funds Received from entry fee’s and donors to The Outdoor Associations True Heroes. Here is how we work With Funds received, and prizes donated we use only what we need, and give the rest to OATH a NonProfit. This year we merged with https://www.oathinc.org/ a Christian based NonProfit Organization that takes Military, Veterans, and Families on Outdoor Adventures and Retreats. This Organization is Real! And Really Saves The lives of those who get to take part in these adventures. Allowing them time to enjoy the outdoors, fellowship, and heal. The money I am attempting to Raise will go towards covering event items like Shirts, Trophies, and other Event related items. We are NonProfit and a Registered OATH Event. Funds not used on Event Expenses will be Donated to the OUTDOOR ASSOCIATION TRUE HEROES. If you use FaceBook; https://www.facebook.com/RigsReefClassic/ so you can see what we do and how we Promote Manufacturing Companies Year Round that Donate Cash, Prizes, Shirts, and Trophies to the Event Tables. A little about my Wife and I. I am David Ramsey I have served my Country for 20years, I’m 100% Disabled but still manage. I have sacrificed my body for Freedom and it is worth every ache n pain in doing so. My Wife Niccole is a Texas Native, Worlds best Wife, amazing Mother to my Daughters, and Proud Military Wife who has healed me through the past 4 majors surgeries in my life. We just want to Promote the Sports of Spearfishing, Freediving, and Scuba. And in doing so help a Organization that truly gives America’s Veterans, Families, and Serving Military Members a source of Support through Fellowship in the Outdoors. This is Why I do this Event. I love the Sport! WE LOVE HELPING others! The Ocean is a Healing Place. And Our Event is truly Sustainable. We want to continue to help heals our Heroes in the Bluewater’s of our amazing World. We hope you will consider helping us, and joining us with your contribution and support. 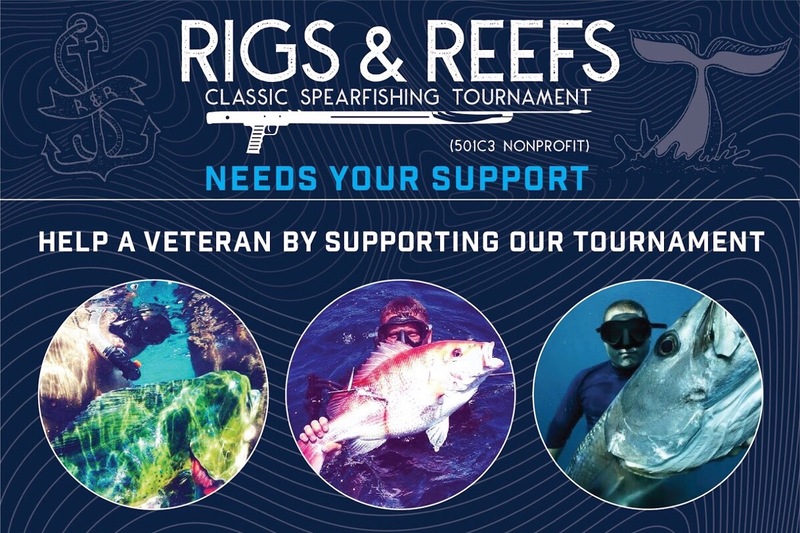 New Link Donation for Rigs & Reef Classic. Appreciate your Support. #givingtuesday what a great day to give... so we can continue to do what we do for our Heroes. This last Spearfishing Event was the Greatest to date. Looking forward to the future. None of this would be possible if it wasn’t for our returning Spearo’s. Thank You for all the Support of Manufacturing Companies and Divers.